Bison meat is lower in cholesterol than beef, pork and chicken while higher in protein. 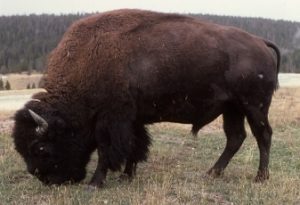 And good news for you weight watchers, Bison has fewer calories. You do need to be careful when cooking. The low fat content of Bison means the meat has several advantages we learn about in the tip below. Bison/Elk T Bone Steaks $30.00/lb. Bison/Elk Rib Eye Steaks $30.00/lb. Bison/Elk New York Strip Steaks $30.00/lb.